A global pharmaceutical company plans to close one of its research campuses leaving millions of dollars in real estate, laboratory equipment and research devices that need to be redeployed, sold or disposed of. An organization with multiple research facilities has completed a research project and no longer needs its related, large capital assets – including a Mass Spectrometer and HPLC device – as well as the standard lab equipment to support the project. A large pharmaceutical company continues to purchase the newest research devices in order to keep up with technological advancements thus creating a surplus of older models that are still in good, working condition. A variety of factors can result in obsolete laboratory equipment and R&D devices. Completing a project, upgrading equipment, closing a lab or downsizing, for example, typically create surplus pharmaceutical assets no longer required in the same capacity—or at all. Between budget restrictions and the need to adhere to fiscal and environmentally-sound business practices, organizations can’t afford to allow surplus assets to lie idle or dispose of them in traditional ways. Surplus requires an innovative and sustainable process that supports strategic business goals. This process should include implementing a company-wide redeployment tool, setting out guidelines for the redeployment process, and aligning the right internal and external resources to manage the surplus program. Redeployment is a cost effective option, especially if it saves the company money on new condition equipment in the procurement process. A first step in creating an asset management program is to implement a web-based, enterprise-wide system for redeployment. A digital tool facilitates company-wide visibility of all its excess equipment, displaying readily accessible surplus to lab managers across the company. This system is particularly useful in the event there is a need for a specific item in one lab that is already sitting unused in another lab. A successful asset management program also includes knowing when an item is better suited to be sold and establishing re-marketing best practices to achieve maximum recovery for that item. The redeployment process should incorporate a cut-off date for internal acquisition to obtain greater value through external sale. Leading biopharmaceutical companies consider 30 days for redeployment as a best practice; if no one within the organization has claimed a surplus item within a month, it should be re-marketed and sold. This window allows enough time for other departments or employees to take advantage of available surplus assets while ensuring the asset will obtain the greatest value possible through a shorter window to sale. Determine a sales channel (or multi-channel solution) for the equipment, such as: online auction, private sale, or local advertisement. The channel(s) selected should be based on the type of equipment, buyer base, and location, as well as anticipated interest in the item(s). For instance, online auctions are better for high-demand products while private sales are better for big-ticket or more atypical items that may take more time to sell. Schedule a preview period so potential buyers can come inspect the item(s); this allows buyers the opportunity to see the asset(s) firsthand, creates more transparency, and helps to increase bid value. Have a removal period in place; this will provide bidders with set guidelines for what to expect post-purchase as well as a definitive timeline to an internal team for when the surplus item can be expected to be removed. Having both a plan and team in place for the sales process ensures greater recovery, creating a high performance reverse supply chain that supports strategic decision-making for the organization. For instance, compliance is an often overlooked but critical component of any organization’s reverse supply chain. With a greater range of assets capable of storing confidential data, surplus asset sales need to comply with the relevant authorities on the protection of personal data. Additionally, assets are often marketed to a larger bidder base to drive greater value and as such, at risk to be sold to other countries where specific restrictions for certain asset types may exist. Services such as data wiping, buyer vetting, and legal compliance counsel from a trusted provider, ensure a smooth and compliant sales process for surplus. A redeployment tool and guidelines for the process are critical. However, without a dedicated team to implement and manage a surplus-asset program, dealing with obsolete equipment adds stress to staff members and takes time away from core business activities. Organizations can assess whether an in-house asset-management program is best to build a high performance surplus program. Criteria to determine this include: employee bandwidth, availability of internal best-in-class asset management systems, current buyer reach, range of marketing and sales tactics, and ability to support storage and transportation needs.Sometimes the best choice is for organizations to work with a trusted partner whose primary business is providing solutions for surplus assets. A reputable partner will have professionally managed data-driven services to manage, value, and sell every imaginable type of surplus asset while bringing extensive knowledge of the secondary market and ensuring transparency and efficiency, a vetted buyer base, and compliant removal of the assets. Regardless of the surplus situation, it’s critical to design a solution to deliver the right scale and the best results. If managed correctly, surplus assets can provide cost savings through effective redeployment, create new revenue streams via remarketing, and protect the organization’s brand with a managed, sustainable sales process in secondary markets. 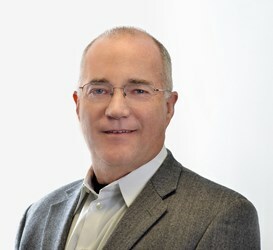 Tom Burton is the Executive Vice President and President of the Capital Assets Group at Liquidity Services, trusted asset recovery partner with locations in North America, Europe, and Asia to more than 7,000 organizations, ranging from government agencies to Fortune 1000 companies. Hundreds of biotech, pharmaceutical and medical device companies have used Liquidity Services’ online marketplace www.Go-Dove.com and its customized AssetZone® technology to manage the redeployment, valuation and disposition of surplus assets. To learn more about how Liquidity Services can help manage your surplus assets, please contact sell@liquidityservicesinc.com.